The BIB's THINKING OF TOURING IN IRELAND? page remarks of Chris Jones that 'Chris has toured a lot in Europe (though not yet, unfortunately, in Ireland).' That hole is about to be filled. 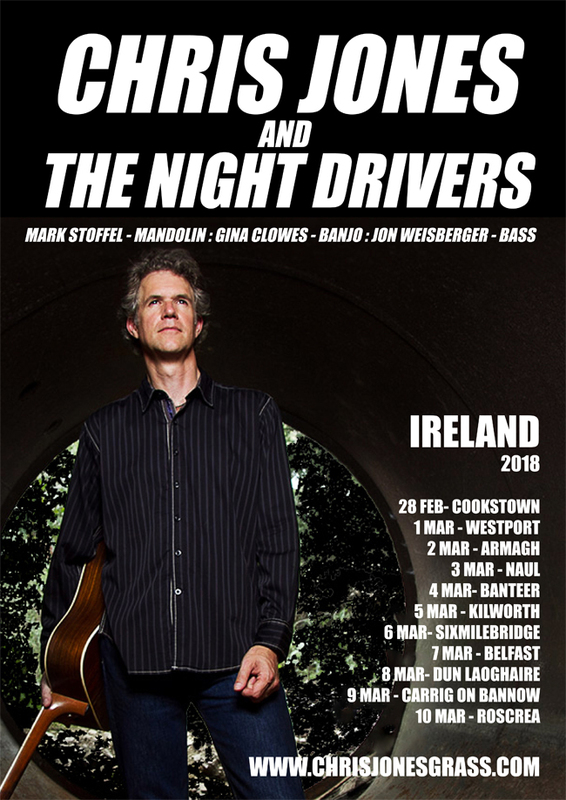 Thanks to Nigel Martyn and his Old Flattop agency for the news that Chris Jones & the Night Drivers will tour Ireland from 28 February till 10 March 2018. 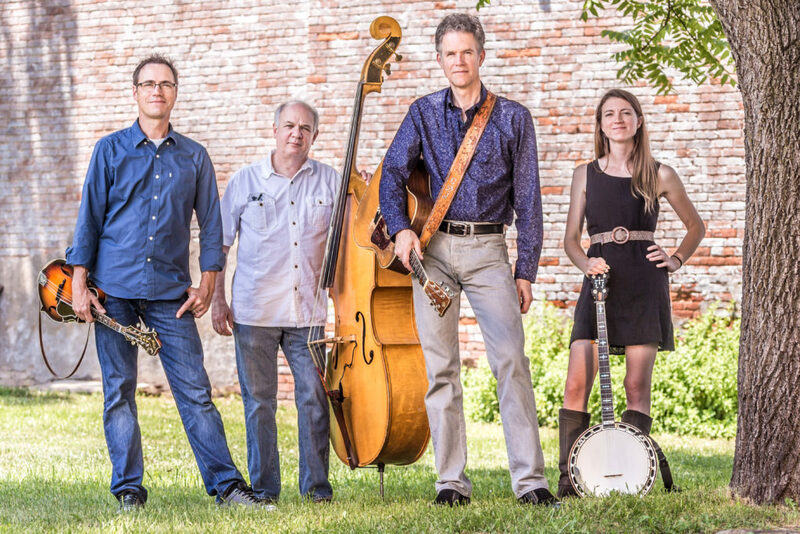 The band is Chris Jones (guitar, lead vocals) with Mark Stoffel (mandolin), Gina Clowes (banjo), and the legendary Jon Weisberger (bass). Their command of traditional and contemporary bluegrass is underlined by the reputation they've earned for very strong original material. 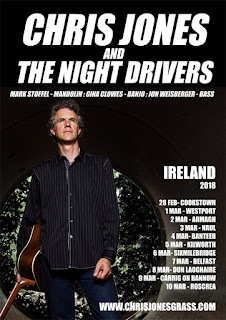 Nigel has arranged an eleven-day tour with the band playing every night - in Cookstown, Westport, Armagh, Naul, Banteer, Kilworth, Sixmilebridge, Belfast, Dun Laoghaire, Carrig-on-Bannow, and Roscrea. Full details will be announced in due course.